IMPOSING widespread investment restraints on foreign business will not generate local business, warns economist Paul Barker. Barker, the executive director of the Institute of National Affairs, was referring to three bills tabled in Parliament last week relating to business regulations. In particular, the business community is concerned about the bills to amend (repeal) sections of the Investment Promotion Act to remove its oversight of any foreign investment, a franchise bill and the Foreign Investment Regulatory Authority (FIRA) bill. The business community is also concerned that members were not consulted despite their continued commitment to work in cooperation with the Government. Industry members wrote a letter to Prime Minister Peter O’Neill last Thursday to express their concern. Yesterday, Commerce and Industry Minister Wera Mori told The National that the reaction from the business community was “expected”. “We all have an obligation to ensure that micro to small medium enterprises also thrive,” he said. But Barker said the bill could frighten off not only new foreign investors but also current ones “just when they’re so needed to generate broader-based economic activity and create much-needed jobs”. “Imposing widespread investment restraints on foreign business won’t generate local business,” he said. 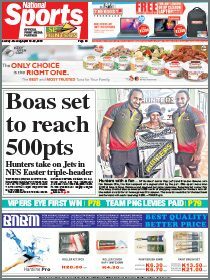 “This might just replace a small number of foreign-owned, or majority-owned businesses by PNG-owned businesses. 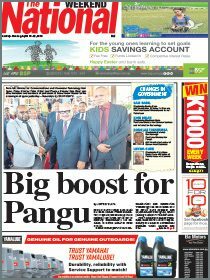 But it won’t increase the number of businesses and jobs out there, which is what PNG needs right now. O’Neill is expected to meet business leaders at a business breakfast in Port Moresby this week. Barker said other “losers” would be the Government “in terms of undermining investment and therefore future revenue from corporate and employee tax if businesses and jobs are not generated”. For sure a bit of regulations are needed. Why should some group of foreigners sell betelnut? Why should some foreigners make way right into the villages and setup tackerbox and do retail? Isn’t that reserved for local?! In fact there is certainly need to regulated than to create open world? PNG is incomparable to elsewhere, need to a bit regulate than throwing it completely out into open world. Baker- where do you stand, are for the country or for yourself. You seem to have negative perceptions over most decisions made by the government. Some businesses should be reserved for locals. I personally dont support the current government in many issues but now this government has my support in introducing such bills that would nurture & groom the MSME sector thus giving rooms and breathing space for locals engaged in the MSME sector. This sector has the potential to grow and enrich the lives of locals a thousand times thus outweighing the benefits that would be generated from wages only for locals employed by big foreign companies and taxes for the governemt that Mr Baker is refering to here. Most super economies like our neighbours Singapore, India, etc started from the MSME sector which made their locals millionaires.